This month sees the launch of Fizz Free February – a campaign to get people thinking about their soft drink consumption. 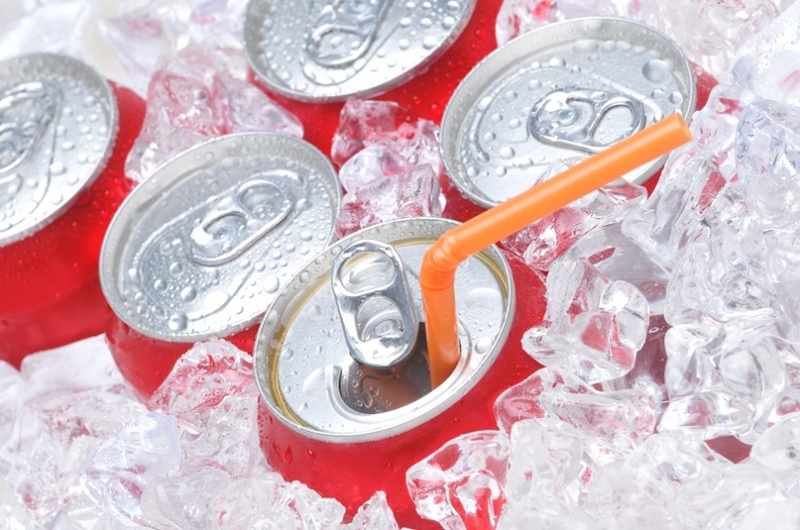 Most people are aware of the links between sugary drinks and tooth decay. Whilst switching to sugar-free alternatives may be better for your waistline, ‘diet’ drinks can be just as acidic as their sugary counterparts – which is bad news for tooth enamel. Acidic foods and drinks – those with a pH below 5.0 – can erode your tooth enamel. What you choose to eat and drink can have an effect on the amount of acid that your teeth are exposed to. Fizzy drinks are often based on acidic fruit juices such as oranges, lemons and limes – so reducing your intake of these can help reduce the effects of acid erosion. It is possible to adopt some good habits that should negate the need to give up acidic drinks forever. Our hygienists encourage patients to get into the habit of sipping water after drinking something acidic. Water has a neutral pH and will wash some of the acid away from your teeth. Chewing sugar free gum after drinking fizzy drinks is also encouraged - as this increases the speed at which saliva can restore a neutral pH to your mouth. Don’t be tempted to brush your teeth straight after eating acidic foods – wait at least an hour. Abrasive brushing when the acid is still present in the mouth can actually worsen the effects of acid erosion. The Fizz Free February campaign is spreading awareness of the corrosive effects that fizzy drinks can have on tooth enamel. If you are concerned that your teeth may have suffered from acid erosion, then an appointment with one of our dental hygienists could help you establish and maintain an effective oral hygiene routine that will avoid further damage. To book an appointment, call our reception on 01603 632525. For regular updates from the team at Norfolk Dental Specialists, follow us on Facebook and Twitter.